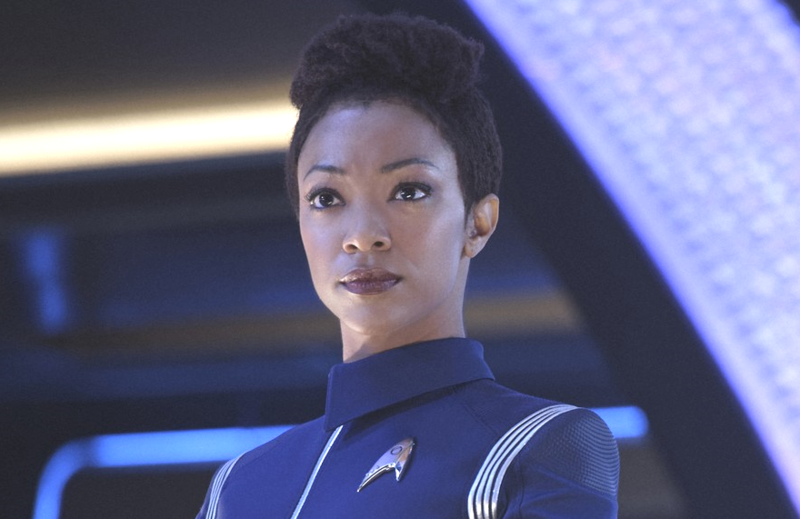 Showing 1 - 15 of 92 articles tagged "Star Trek: Discovery"
Star Trek: Discovery comes in at No. The CBS All Access drama is "slimming down" after the end of this season. Discovery costume designer Gersha Phillips says Star Trek: TNG's figure-hugging jumpsuits should be in the latter half of Season 2. "As Captain Pike, Mount had a lot to live up to," says Brett White. 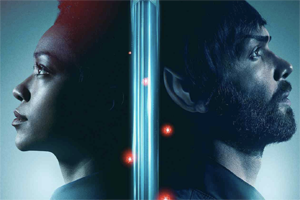 Burnham and Spock have a “very, very complicated” relationship, Martin-Green tells TVLine. 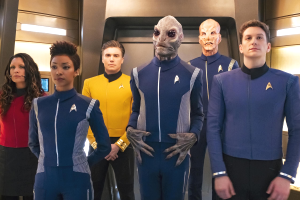 The Season 3 pickup comes six episodes into the Star Trek series' second season on CBS All Access. Costume designer Gersha Phillips tells Comicbook.